Donal Machine Inc. is a manufacturer in the business of supplying precision machining and sheet metal services since 1969. We serve the aerospace, automotive, agriculture, and other commercial industries. 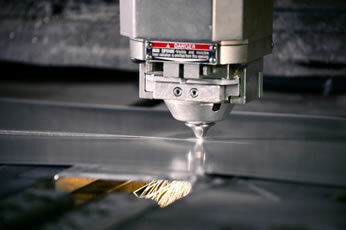 Manufacturing services are provided to customers throughout the U.S. and internationally. In its forty-five year history, the company has grown and is now located in a 30,000 square foot facility with easy access to HWY 101. Our facility is equipped with state-of-the-art equipment enabling us to satisfy complex requirements. Donal's capability of handling all areas of part production and processing has resulted in our ability to provide highly competitive quotations. The facility is fully computerized with networked manufacturing and MRP software systems that allow us to track a job's progress instantly. From job acceptance to delivery of the finished product, lowering the cost of quality is of utmost importance to Donal. All projects, large and small, are geared toward achieving the same goal: On-time delivery and zero defects.